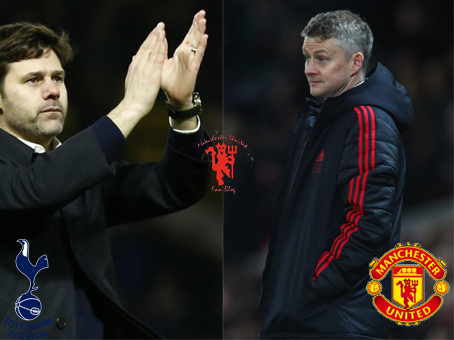 Tottenham vs Manchester United is scheduled for this Sunday and this is going to be the first big test for the rejuvenated Manchester United side under the guidance of Ole Gunner Solskjaer. Another way Tottenham vs Manchester United is important is the fact that it is believed to be somehow the audition for the job of next manager of United. Solskjaer is caretaker manager till the end of the season and until now he has shown no signs which indicate he needs to be replaced but it is known to everyone that Pochettino is the first choice. Talking about the game itself, it is going to be a cracker of a game at Manchester United has been on a roll playing quality football except for the one-off FA Cup game against Reading. Tottenham, on the other hand, has been performing as usual and have not yet played a draw this season. They are third in the league and continuously troubling the top teams. If they would have not lost against Wolves the story would have been different with them being on second and just three points behind the league leaders Liverpool with genuine chances of winning this season. Harry Kane like previous 4 seasons has been continuing his goal scoring form with 20 goals already across all competition. But the player who I fear the most in that team is Son. He is probably the most underrated player in England and has performed equally well at the top alongside Kane. All others players from the team have also been performing well including Eriksen who himself has been linked to Manchester United recently. For Manchester United, the entire team has improved a lot ever since Solskjaer took over. Rashford and Pogba especially have been phenomenal with Lukaku also scoring in all three of his previous games. The defense has been a problem for United this season but that also seems to have improved a bit recently but yes they have not been tested against an attack like that of Spurs. Last time around in the reverse fixture Manchester United played some of its best football this season in the first half, only to somehow collapse in the second, conceding three goals and ending up losing the game 0-3. But that seems to have happened a long time back and this time around everyone expects it to be a much more competitive game. The advantage would be on the side of Manchester United who has enjoyed a full week of training in warm weather in Dubai while Tottenham had to play Chelsea in a very high energy game with almost their full first team in midweek which surely would have taken out some gas from their players. Here are some stats of both the teams this season for you to get those numbers in mind. What is surprising here is that although United have not played up to their standards for the majority of the season still they go neck to neck in most of these stats but yes, Tottenham easily overtakes in terms of the overall league points. I hope Manchester United goes out and play as they have been in the past 4 league matches and if they do there is no doubt they can get hold off three very important away points and a much more confident squad.